The shortlists for the Communicative Relations Awards from PR Professionals (The CRAPPs) have been announced today, with finalists in categories ranging from ‘the most likely to tell you to sling your hook’ to the ‘least twattish Twitterer – the must-follow journo’. 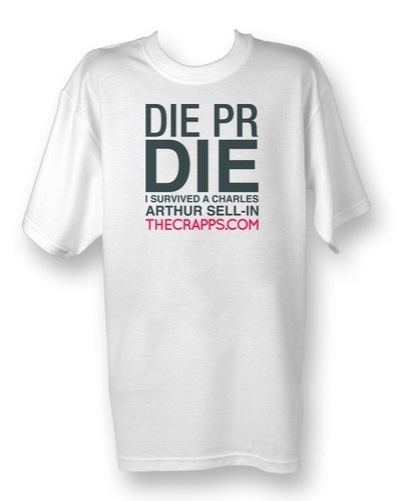 To celebrate the relationship between journalists, bloggers and PRs, www.theCRAPPs.com was launched by national PR agency 10 Yetis in 2010, returning again this year, in association with DWPub. There are six personal award categories, and one group award. The awards have received thousands of nominations since launching on Tuesday 15th November, prompting praise from prominent journalists and public relations professionals. The ten most nominated names have now formed the shortlist in each category, where voters now have the chance to vote for their favourite per category. Final results will be made public in time for Christmas, on Thursday 15th December. “We’ve had another great start to The CRAPPs, with more than double the nominations we saw in last year’s inaugural scheme and a largely positive industry response! This press release was distributed by ResponseSource Press Release Wire on behalf of 10 Yetis PR and Marketing in the following categories: Children & Teenagers, Men's Interest, Entertainment & Arts, Health, Leisure & Hobbies, Home & Garden, Women's Interest & Beauty, Environment & Nature, Sport, Consumer Technology, Motoring, Food & Drink, Personal Finance, Business & Finance, Travel, Education & Human Resources, Medical & Pharmaceutical, Media & Marketing, Retail & Fashion, Computing & Telecoms, for more information visit https://pressreleasewire.responsesource.com/about.